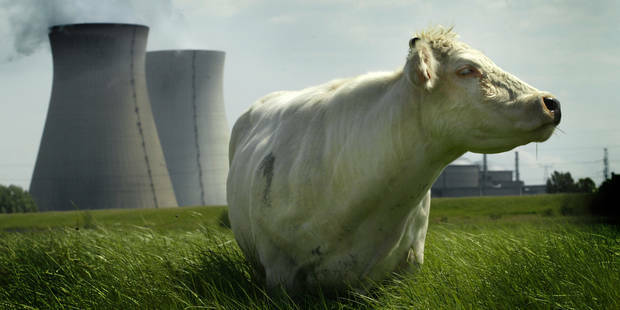 Is Belgium able to extend its Doel 1 & 2 reactors? On 30 November 2015, an agreement between Electrabel and the Federal Government was reached to extend by 10 years the nuclear reactors Doel 1 & 2 lifetime. But this decision breaks international rules for transparency and safety. Lifetime extension of power plants must take into account a high level of safety measures to protect the population, but also the environment. The right of the public to participate in an environmental impact assessment should be respected. To extend the lifetime of Doel 1 & 2 reactors, Belgium must carry out an environmental impact assessment (EIA) and a national and transboundary public participation, as prescribed by Aarhus and Espoo conventions that apply notably to all member countries of the European Union. In May 2015, NTW had contacted the Belgian energy minister Christine Marghem to emphasize the importance of respecting international obligations to organize large-scale EIA and a process of cross-border public participation before any final decision. But it seems that the minister, who has still not responded, has no knowledge of international standards of transparency. These international obligations are essential for safety. Doel 1 & 2 have been designed on the knowledge and technology of the 1970s. The last past years, the understanding of accident scenarios and nuclear technology have evolved, but also the environment of the nuclear reactors and the society as a whole have changed drastically. Therefore, a decision to extend the lifetime of nuclear reactors should automatically involves a comprehensive and transparent environmental impact assessment and public participation process for Belgian citizens, but also Dutch citizens. NTW strongly supports the complaint filed by Greenpeace Belgium on 30 November with the Council of State to challenge the decisions of the government and the Federal Agency for Nuclear Control (FANC) for approving the 10-year extension of Doel 1 and 2. NTW also welcomes the complaint filled by Benegora, a Dutch environmental organisation, with the Belgian State Court, because Dutch border municipalities and their citizens are not able to participate in a cross-border public participation and environmental impact assessment process. Meanwhile, the Dutch Province of Zeeland has also passed a motion in which they call upon the Belgian authorities to allow the citizens of Zeeland to participate in a consultation process concerning the lifetime extension of Doel1&2. Questions in terms of safety arise in case of lifetime extension of nuclear plants designed initially for a period of 30 years. The FANC speaks of “the safest reactors in Belgium”, but are the highest-level safety criteria applied? Are preparedness and response measures to emergency situations suitable for this extension? This issue is very important for the Doel nuclear power plant, which is the plant installed in most populous region in Europe. Considering a radius of 30 km, the population around the Doel plant (1,510,000) turns out to be 9 times greater than the population who lived around Fukushima, at the time of the accident (172,000 residents). In addition, a serious nuclear accident in Belgium will certainly have repercussions beyond its borders. The Netherlands is situated a less than 3 km from the Doel plant. An example of EP&R failure is the issue of receptions places in case of a large-scale evacuation, which is not sufficiently studied by the Belgian authorities. Of the four planned reception centers in the preceding Antwerp emergency plan for the Doel plant (the Sports Palace, the civil protection in Brasschaat, the slaughterhouse of Antwerp and Haasdonk’s Fort), the last two are completely dilapidated buildings. For the new response and emergency plan of the province of Antwerp, there is only one reception center that is mentioned: Campus Vesta in Ranst, whose capacity is not indicated. Providing a single reception center, for a nuclear plant in a densely populated area, is not consistent. Lifetime extension of power plants must take into account a high level of safety measures to protect the population, but also the environment. It is high time that EP&R measures take into account the lessons learned from the Fukushima disaster. The environment around Doel has fundamentally changed over the last 30 years and the risk of reactors failure increases exponentially over time. Ten years of extra life adds 25% additional time in which these reactors are exposed to various risks. Extending the lifetime of Doel 1 &2 has halted preparations for decommissioning. An amount of € 24.7 million has already been spent for the preparation of Doel 1 & 2 decommissioning. Indeed, as the nuclear phase-out law passed in 2003 provided the closure of Doel 1 and 2 plants for 2015, Synatom, branch of Electrabel specializing in the management of radioactive materials, had already begun preparing decommissioning for an amount of 24.7 million, when the parliament was finally given the green light last June to the extension. Will the results of this study be still valid in 10 years?